In the street... these activities are fun in both English and Arabic! What day was/is it yesterday, today, tomorrow? Count down 10/20 seconds to get to the table/bed etc. Recognise numbers on the clock. If you cover a number, what number is missing? Find four shoes that are different sizes. Can you put them in order? Can you cut your toast into 4 pieces? Can you cut it into triangles? How many triangles? Setting the table. Counting the right number of plates, etc. How many more do we need? Can you make shapes/patterns out of the knives and forks? Can you put them in the right place in the drawer? Positional language at dinner time: What is on the rice? Where are the carrots? Are you taller than a...? Cut hand shapes out of paper. How many hands long is the sofa? How long is the table? Which is longer? Who has the biggest hands in our family? How many footsteps from the door to the car? Put all ingredients in a large saucepan, and heat slowly, stirring all the time until it forms a ball. Keep it wrapped in cling film or in a covered tub to stop it drying out. Make numerals and shapes Sort shapes into groups, or order by size. Make long and short wiggly snakes. Play with letters, words, and sounds! Having fun with language helps your child to crack the code of reading. The tips below offer some fun ways you can help your child become a happy and confident reader. Try a new tip each week. See what works best for your child. Ask your child to talk to you about his day at school. Encourage him to explain something they did, or a game he played at play time. Sing songs, read rhyming books, and say silly tongue twisters. These help children become sensitive to the sounds in words. Read it and experience it. Connect what your child reads with what happens in life. If reading a book about animals, relate it to when you may have visited a zoo. Have your child use a finger to trace a letter while saying the letter's sound. Do this on paper, in sand, or on a plate of sugar. Practice blending sounds into words. Ask 'Can you guess what word this is? m-o-p' Hold each sound slightly longer than normal. Go ahead and read your child's favourite book for the 100th time! As you read, pause and ask your child about what is happening in the story. 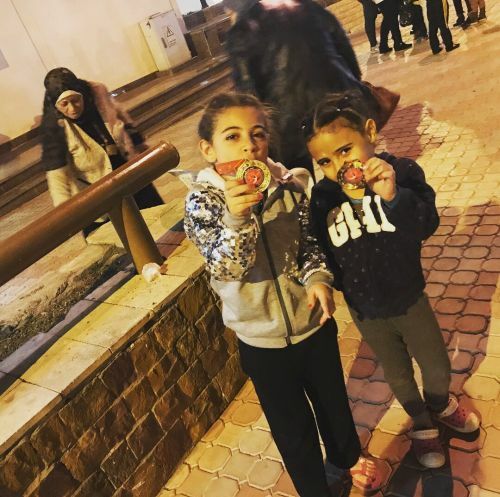 This edition of the school newsletter celebrates Mariam El Nahreer and Sara Shams El Din, both from Y2MN, for their achievement of first place in Cairo! 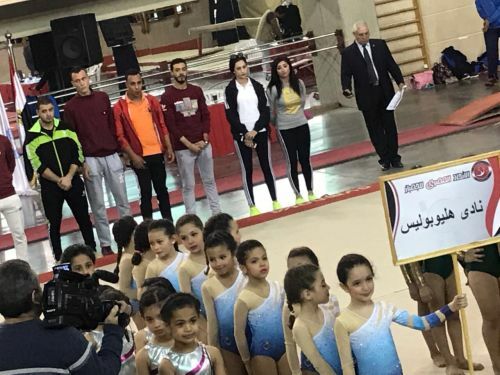 They received their gold medals from 'The Egyptian Gymnastic Federation', and are now busily preparing themselves for the national championship to be held on March 18th. 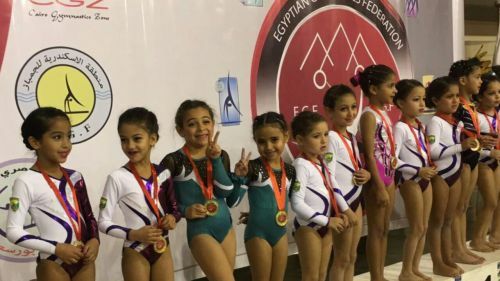 We have another talented gymnast in Karma Aly from Y2PS, who recently participated in the Cairo Championship for Rhythmic Gymnastics. 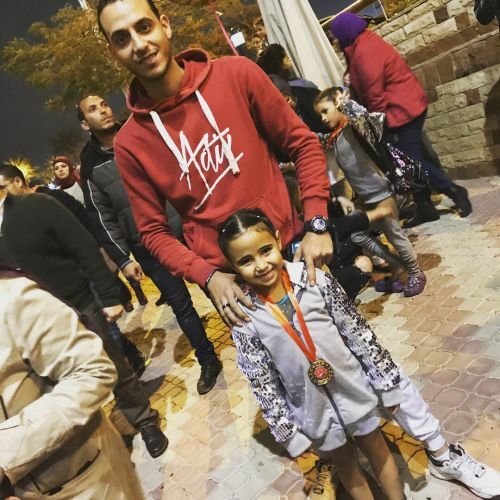 She was the recipient of two medals at this event; a gold medal for Rhythmic Gymnastics - Dance and a bronze for Rhythmic Gymnastics – Ball event. 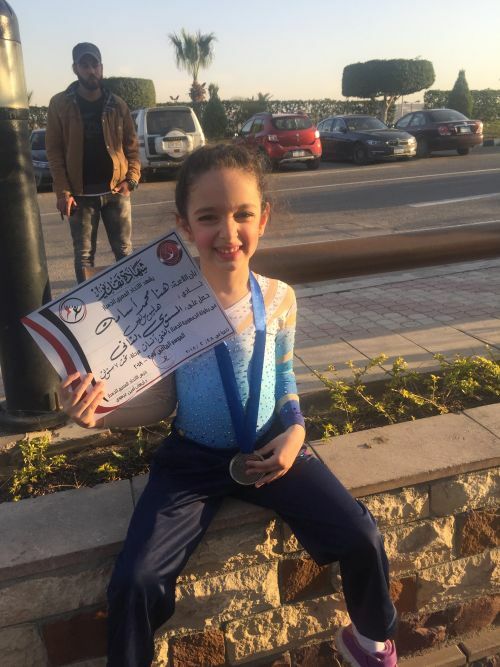 Finally, we would like to congratulate and celebrate another budding gymnast, Hana Saada Y1OC, for achieving silver medal whilst representing her club in the National Artistic Gymnastics competition. Well done Hana!